Our facility is located in Diamond Bar an upscale city in eastern Los Angeles County, California. Approximately 27 miles east of downtown Los Angeles. Located at the junction of the Pomona and Orange freeways. The facility is conveniently surrounded by the suburban cities, such as Brea, Walnut, Chino Hills, Rowland Heights and San Dimas. The city of Diamond Bar is one of only five cities statewide to make CNN Money Magazine’s 2012 “100 Best Places to Live” list. Diamond Bar was previously made CNN Money Magazine list of “Top 100 Best Places to Live” in 2007. Our facility is located in a quiet and peaceful neighborhood in Diamond Bar. The backyard consists of a panoramic sunset view of the Walnut Valley, so spending time outside is always delightful and relaxing. Our spacious yard and garden setting will encourage residents to enjoy the outdoors and assorted activities. 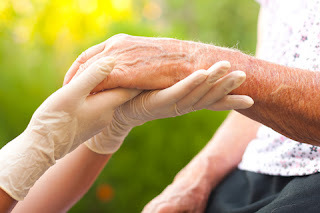 Allison's Home Care is a six bed Residential Care Facility for the Elderly (RCFE) licensed by the State of California Department of Social Services (CDSS) to care for ambulatory and non-ambulatory of age 60 and above. The activity program aims to provide constructive use of leisure time, promote social interaction and maintain physical as well as mental functioning. Personal interests and hobbies are taken into consideration to allow the residents an opportunity to exercise their independence despite their limitations or handicaps. Activities featuring daily walks, exercises, cards and board games, bingo, arts and crafts, karaoke, music therapy, pet therapy and visits from community entertainers to fit a variety of our resident's needs. Visit our facility to see for yourself, if this is the right facility for you or your loved ones. Please feel free to contact us. "Dedicated to the care of your elderly loved ones"